We recognise that a vehicle off the road can cost your business more than just a repair bill. 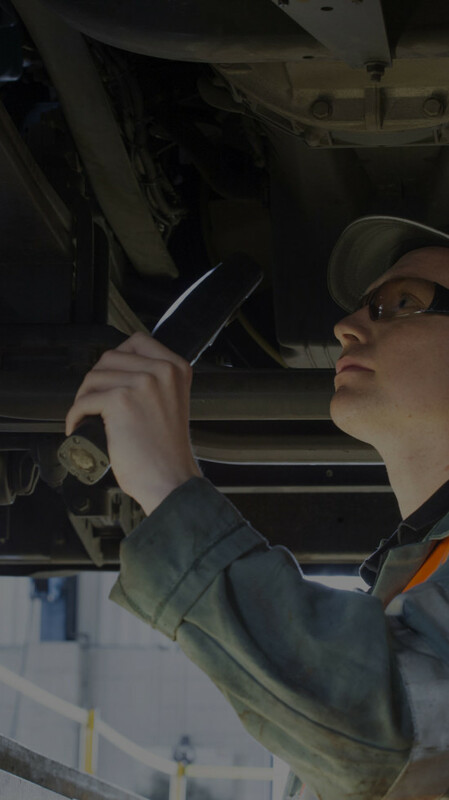 Our highly trained technicians are experts at maintaining and repairing commercial vehicles and have wide ancillary knowledge, so we are best placed to keep your vehicles compliant and on the road. Access Fully flexible maintenance services when and where you want them - via Ryder workshops, approved FleetCare service locations or on-site with mobile maintenance technicians. Expertise 350 technicians, expertly trained in the maintenance of power, trailer and ancillary equipment to maximise your vehicle uptime. Reassurance A complete fleet maintenance solution to help eliminate operational risk and ensure that your vehicles remain compliant. Whichever Ryder location you use, you can be safe in the knowledge that we operate to the same high standards. We continually strive to improve your uptime, with end to end maintenance for both chassis and ancillary equipment, using only genuine OEM parts to ensure the reliability of your vehicles. If you don’t have a Ryder location nearby, we still have you covered. With over 300 Ryder approved service locations, specialist equipment and ancillary maintenance providers nationwide, you are never far from an OEM trained technician when you have a repair or maintenance requirement. Our accredited mobile fleet maintenance solutions are designed to improve vehicle utilisation, increase reliability and reduce operational costs. On call 24/7, our Class1 mobile technicians are expert at maintaining and repairing commercial vehicle assets to keep our clients' businesses on the road. If you are interested in the maintenance of your fleet, fill in the form below and we will be in contact shortly. How many vehicles and/or trailers are you looking to maintain with Ryder?